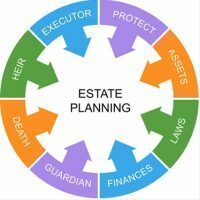 Families often avoid or put off discussions concerning estate planning and the potential future need for long term care arrangements for older parents and other loved ones. While these types of conversations may seem awkward, not addressing the issue can cause chaos and cost everyone involved significant amounts of money in the event the unexpected occurs. Discussing the topic now, clarifying your goals, identifying needs, and making sure you have all the appropriate information can help ensure you are prepared for any unforeseen circumstances in the years to come. According to the American Association of Retired People (AARP), more than 30 million households provide care for an older family member or friend, and that as the baby boomer generation continues to get older, the need for adult caregiving will become as common as the need for child care. Who might be the best part to start off or lead the conversation? What are your biggest concerns and priorities in establishing a caregiver plan? What difficulties do you anticipate in starting this conversation? How does your family and others closely related generally respond when difficult topics are discussed or brought up? How can you convey how important it is to have this conversation? In any discussions, is important to consider all viewpoints and to understand your parent’s or other loved ones’ goals to make a realistic plan that everyone will be comfortable with. The AARP advises that important areas to address when making caregiver plans include duties such as home and household maintenance, getting to and from doctor appointments, providing for personal care, and making sure financial affairs are attended to. In order to complete many of these tasks, you will need access to certain types of information and documents. Life insurance policies and any long term disability insurance the person has. In addition to these documents, you will want to make sure you know where any property or vehicle titles are kept, as well as personal documents such as birth or marriage certificates, and military service discharge papers. When it comes to making plans for the future care and well being of your loved ones, Cavallo & Cavallo is here to help. Reach out and contact our New York estate planning attorneys to request a consultation in our Bronx or New Rochelle office today.